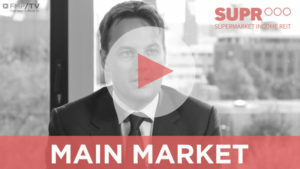 We recently filmed Supermarket Income REIT (LON:SUPR), a main market listed vehicle which acquires supermarket sites. These sites are rented to the likes of Sainsbury’s, Tesco’s and Morrisons. SUPR specifically invests in so-called ‘omnichannel’ stores, which the board believes will benefit from the shift towards online shopping. The video explains their strategy in some depth.